Herald and Review Library: Jordan, Sgt. Bert, Jr., Article on back of photo: "Sergeant Jordan is the son of Mrs. Bert McCarty, rural route 6. 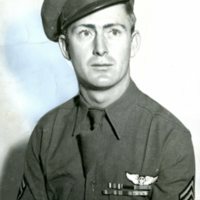 He has been in the service since November, 1940, and holds the D.F.C. Asiatic Campaign medal, the Air medal with three stars and also the service and good conduct medals. He was the first Decatur man to win the Purple Heart. He is a former Herald-Review carrier, a graduate of Decatur high school and was employed by the city streets department before entering the service." Decatur Public Library, Decatur, IL. Herald and Review, “Photo of Sgt. 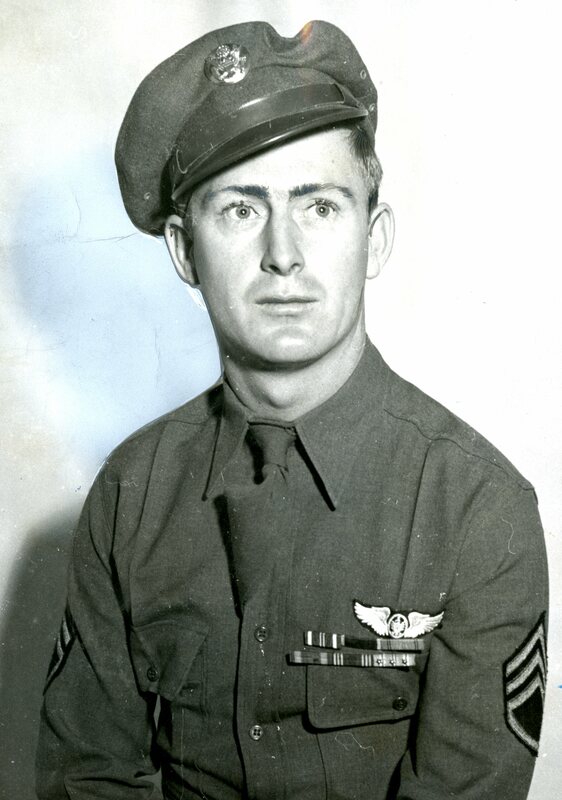 Bert Jordan, Jr. in uniform,” Decatur Illinois Public Library Local History Photo Collection, accessed April 24, 2019, http://omeka.decaturlibrary.org/items/show/608.